Ready to sing! Libby’s the “high-spirited” one on the right. 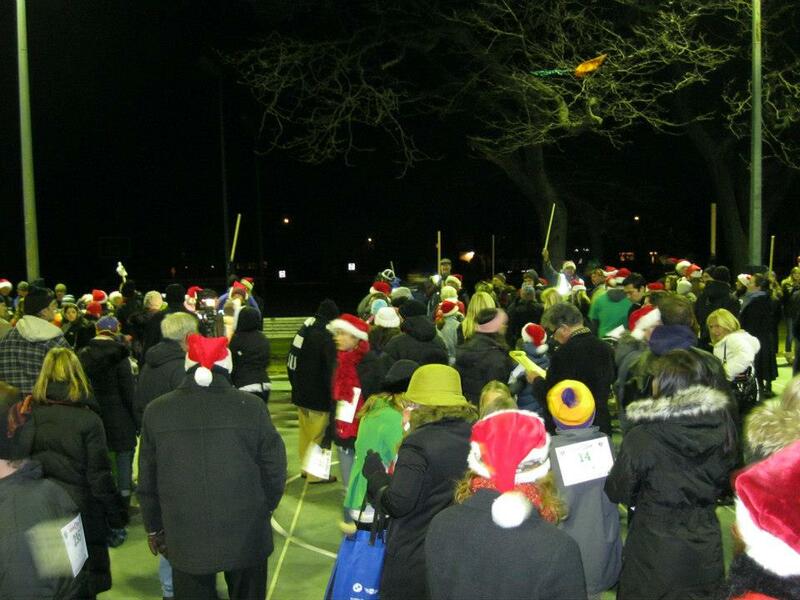 The caroling took place in Westport’s Compo Beach area Wednesday night, and raised more than $4,000 for a local charity. 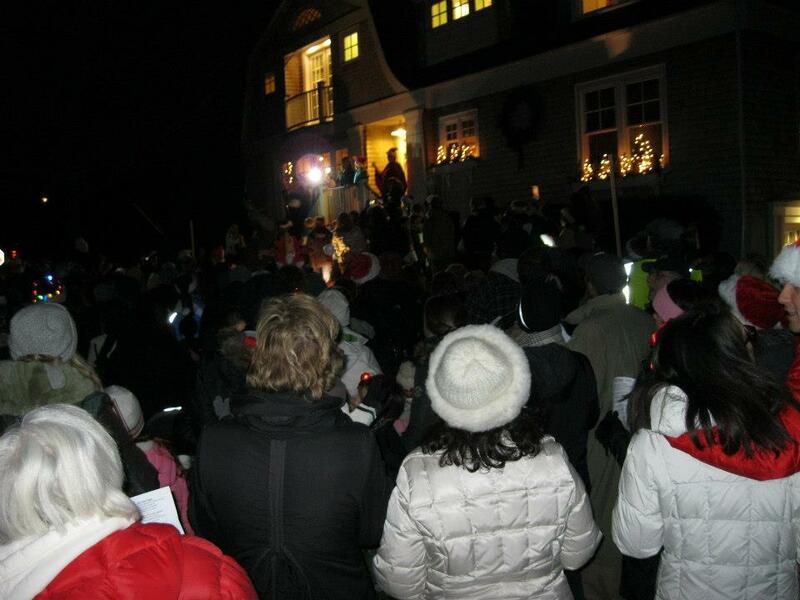 Getting the crowd of 500+ carolers organized. The group made several pre-arranged stops at houses in an area hit hard by Hurricane Sandy. 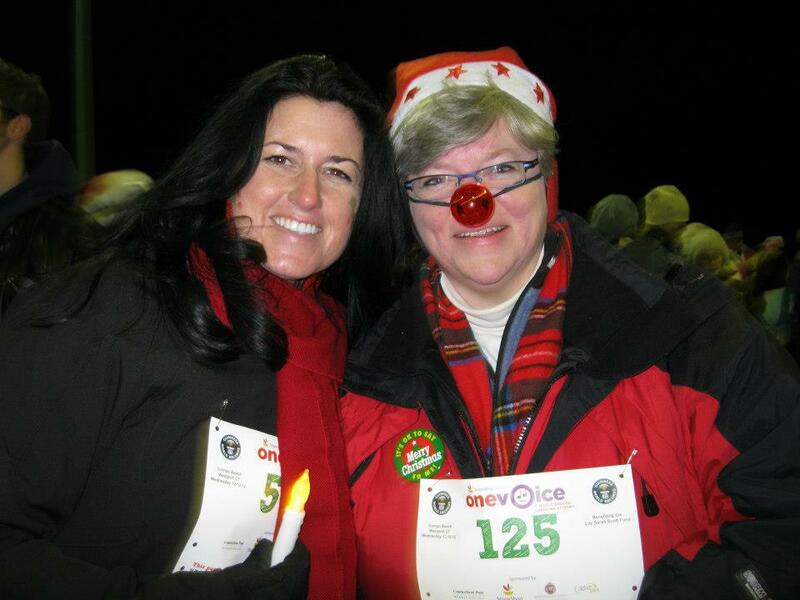 Great way to bring cheer this time of year! How awesome would it be to open your front door to this?! Creative and festive. I love it.